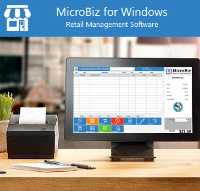 MicroBiz Cloud is an enterprise-class retail point of sale system that has features required by sophisticated multi-store, multi-channel retailers to run their front-end and back-end operations. 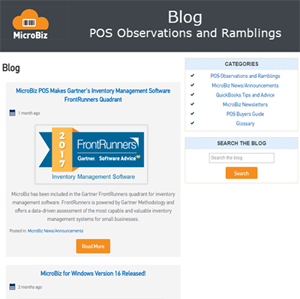 To see all the POS/store management features in MicroBiz Cloud – please see POS Features. Launch POS Using Your Magento Data – The initial set-up gives you the option to use your existing Magento data to set up your new MicroBiz POS system. 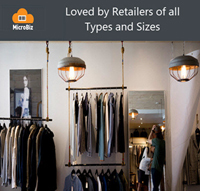 MicroBiz can transfer the settings, attribute sets, product and customer records from your existing Magento site to your new MicroBiz Cloud POS system, maintaining a consistent hierarchy between the two systems. Eliminate Double Data Entry Between POS and Magento – When you create a product in Magento, you simply check a box and the product is created in MicroBiz, including all the individual product attributes. Alternatively, you may create a product in MicroBiz, check a box, and the product is created in Magento. The same process works for any subsequent changes in product records. Make a change in any relevant mapped field in MicroBiz and its automatically updated in Magento – and vice versa. Speed-up the Creation of New Products – MicroBiz includes tools that speed up the process of creating simple and configurable products in POS and Magento. When creating configurable products in MicroBiz, you simply create the parent SKU, define the range of the configurable attribute (for example the different color or sizes available of the item) and MicroBiz automatically creates the matrix with all the child SKU’s. 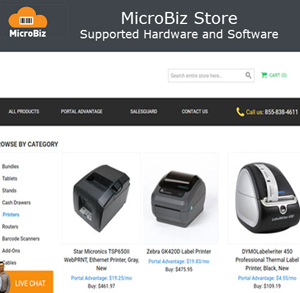 Sync Simple and Configurable Products – MicroBiz supports the synchronization of simple and configurable products. So, if a product record in Magento has a special attribute (such as list of sizes or colors), that special attribute (including the range of options) its automatically imported into the MicroBiz POS system. The synchronization is bi-directional – so configurable products in MicroBiz POS are also automatically copied to and updated in Magento ecommerce. Integrate Purchasing/Receiving with Magento POS – MicroBiz provides full purchasing/receiving functionality for Magento sales. Purchase orders can be printed or e-mailed directly to the vendor. You can also manage multiple vendors for each product. When receiving goods, you simply click on the items in your purchase order and the system will add them to your inventory. You may also reject delivery, back order and track partial orders. Fulfill Online Sales From Store Inventory – MicroBiz’s Magento plug-in allows you to see the current inventory at each one of your stores/warehouses within Magento. When you fulfill a sale within Magento, the inventory at the default store/warehouse is immediately updated and reflected across all stores and registers. Capture Both POS & Magento Sales in a Customer Record – MicroBiz’s Magento POS system allows you to keep all your customer data in one place. 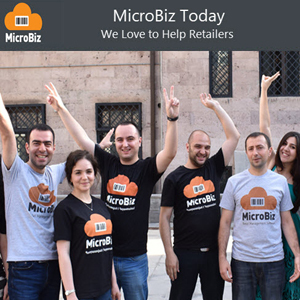 Customer records in MicroBiz include all purchases by a customer across all sales channels, whether the purchase was made at a retail store, your website or even an online marketplace such as Amazon or eBay (when using the M2E extension). You can track where the customer came from as well as where they purchased goods. Customer records created online are accessible from any store. Sell/Redeem Gift Cards Online or In-Store – MicroBiz includes a free internal closed loop gift card manager. You can issue, track and redeem gift cards in real-time across multiple locations without using an outside payment processor. Gift cards issued in-store may be redeemed online and vice versa. Includes customer-level visibility into gift cards sold, amounts redeemed, and balances outstanding. Connect Multiple Stores to Your Magento Site – MicroBiz’s design allows you to connect multiple physical stores and/or warehouses to your Magento site. This allows you to view real time inventory management across all your stores and online operations. 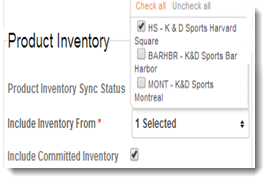 When fulfilling sales in Magento, you can see the inventory levels at each of your connected stores/warehouses. Multi-Channel Reporting – MicroBiz manages ordering, sales and inventory across both store and ecommerce operations, giving you insight into multi-channel operations. 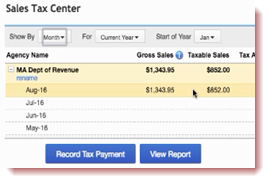 You can run combined store/ecommerce reports by product, category, department and customer, among other options. So you quickly see which products are selling (and which are not), which channels are delivering the most sales, your best customers, current stock levels and top and worst selling items. All of this can be accessed real-time without the need for polling remote stores, replicating data at each store or manually manipulating data.